This customer has a very simple need. They needed a portable wall to create an additional Sunday School Classroom on the weekend and needed to create a private area for nursing mothers in their child care center during the week. 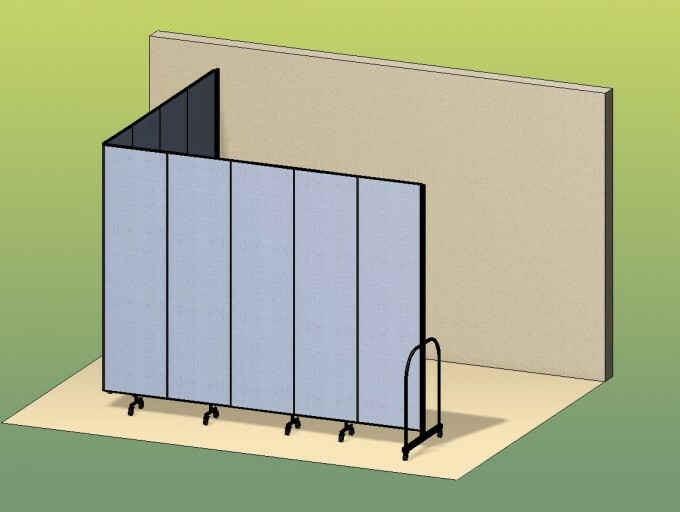 Screenflex freestanding room dividers were a simple and cost-effective solution to their needs. Our design staff worked with the church to ensure the purchase of the exact size room divider the church would need. A 9-panel unit was the solution. When the divider is closed it stores in an area only 25″ by 36″.